It can feel like digital technology is taking over our lives! A lot of parents enjoy technology – it's a great way to connect with family and friends plus it's entertaining and fun! However, when it comes to their kids, many parents worry about getting the balance right. They don't want to see their kids become addicted to technology. Technology is everywhere - it's quick, easy and accessible! "Like most things in life, balance is the key!" 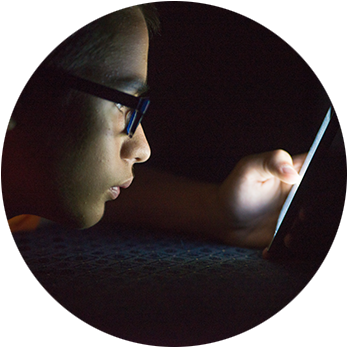 Why might a child become addicted to technology? There may be many things that lead to technology addiction in children. It depends on the child, their personality and their life circumstances. It's normal for kids to experience mood changes and to lose interest in things they used to enjoy. But when these things seem unusual or concerning to you, it could mean something more. Supporting your kids to create a balance can be a team effort! Tried everything but not sure what to do next? We are here to talk things through, so give us a call on 1300 30 1300 (QLD & NT).